The customer arrives and is welcomed into a spectacular space with lofty ceilings and a wall of floor-to-ceiling mirrors alternating with windows. 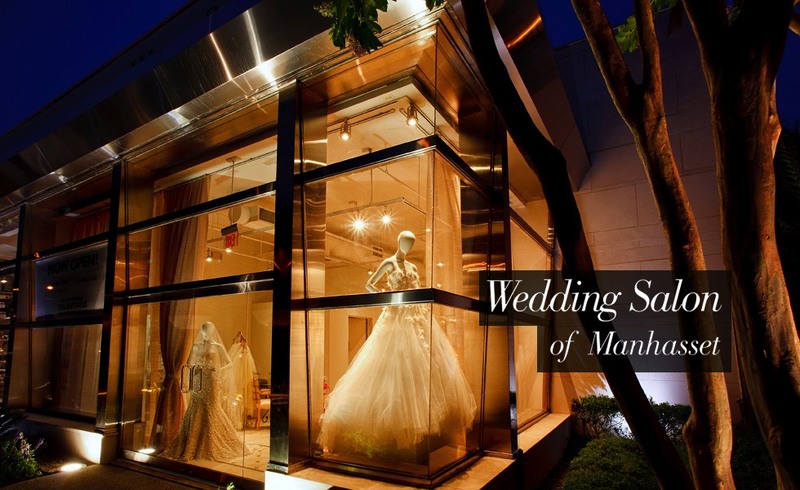 The overall look embodies the feel of an art gallery for wedding gowns with more than 100 dresses on display. 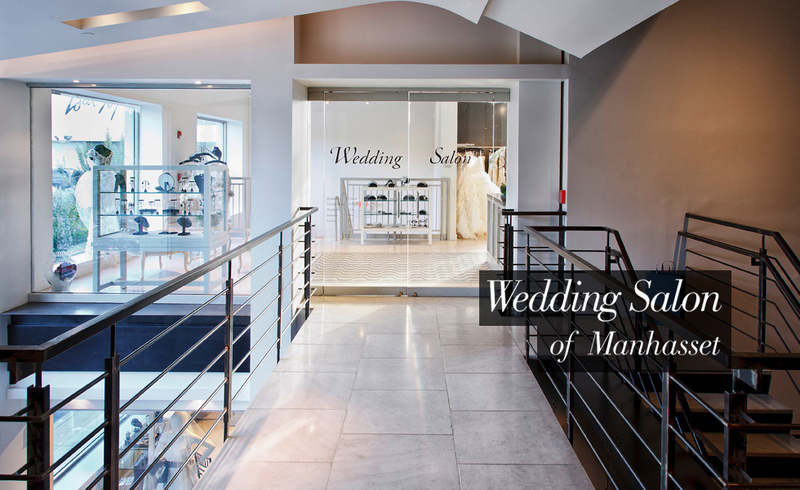 The Salon is spacious, upscale, elegant – the ideal ambiance for offering brides the shopping experience of a lifetime. A state-of-the-art wedding gown showcase has been created that is unique in the metropolitan area. 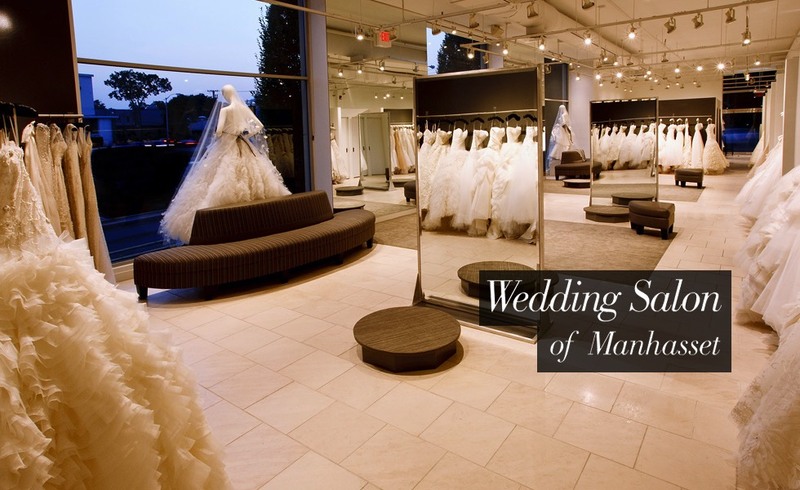 To ensure that every bride finds the dress of her dreams, the staff at The Wedding Salon of Manhasset creates an intimate shopping atmosphere that begins with heartfelt hospitality and unsurpassed customer service. Seasoned sales consultants help them select the gowns that fulfill their ultimate fantasies. Once the gown is chosen, the expert alteration team steps in to ensure that it is fitted to perfection. Today’s modern bride is on the leading edge of style, exuding confidence. The range of our selection enables every bride to find the optimal style and fit to bring out her unique beauty. 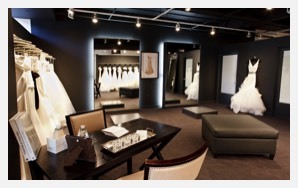 The focal point of the bride’s experience is the grand salon. Around the perimeter of this spacious room, the world’s most luxurious gowns are displayed. The visual effect is stunning: an array of sensuous fabrics, exquisite beading and embroidery, and high fashion styling. Preview the designer's latest styles at our Trunk Shows! 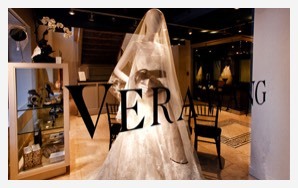 We invite you to visit our Vera Wang Salon. The collection deserves a setting of its own as we exclusively offer Long Island’s only selection of the iconic designer’s gowns. Driven by artistic, modern and luxurious design and style, couture quality and a high level of customer service, Vera Wang's collections hold impeccable appeal. 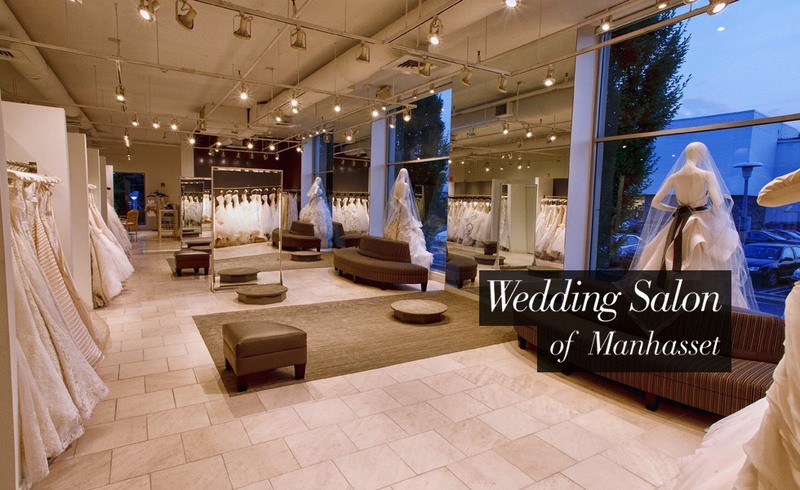 The Salon offers the complete range of styles from the designer’s Vera Wang Collection and Vera Wang Luxe. 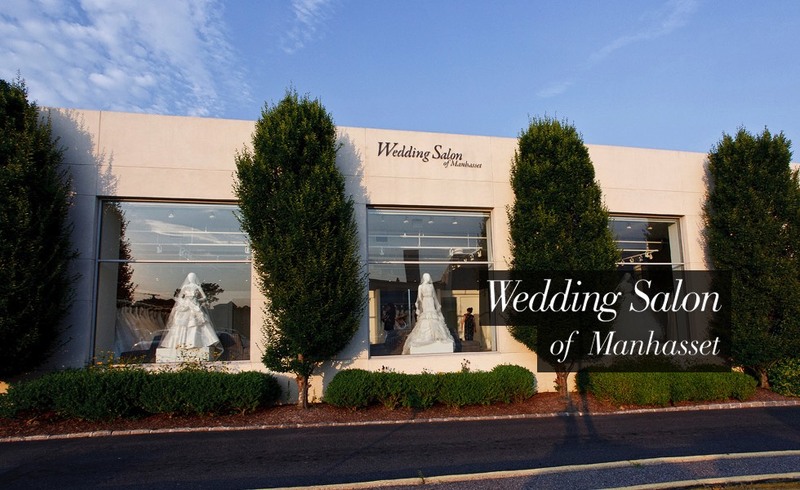 Our selection includes the most sought-after designer lines, many of which are offered exclusively on Long Island by The Wedding Salon of Manhasset. Designers include: Amsale, Anne Barge, Anna Maier, Monique LHuillier, Carolina Herrera, Edgardo Bonilla, Kenneth Pool, Lazaro, Marchesa, Marisa, Milady, Reem Acra, Matthew Christopher, Romona Keveza, Oscar de la Renta, Rivini, Vera Wang, Victor Harper Couture, and Watters. The range of our selection enables every bride to find the optimal style and fit to bring out her unique beauty. Visit our exciting Bridesmaids store conveniently located within the main salon. 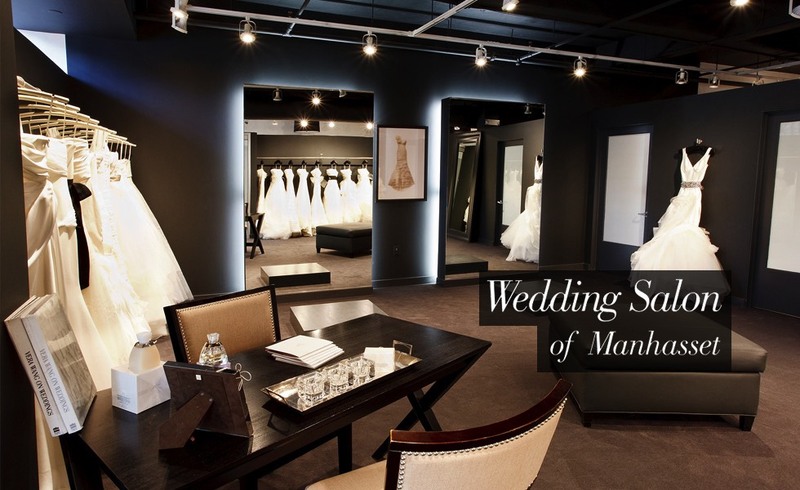 In this setting, we provide each bride with personalized attention in a one-on-one environment, featuring elegant, affordable and versatile styles. From cocktail length to formal, trendsetting to traditional, each dress will help you shape the wedding of your dreams. Special Discount for Wedding Salon Brides!